In the tranquil darkness of the family hut, a mother prepares her daughter for marriage. 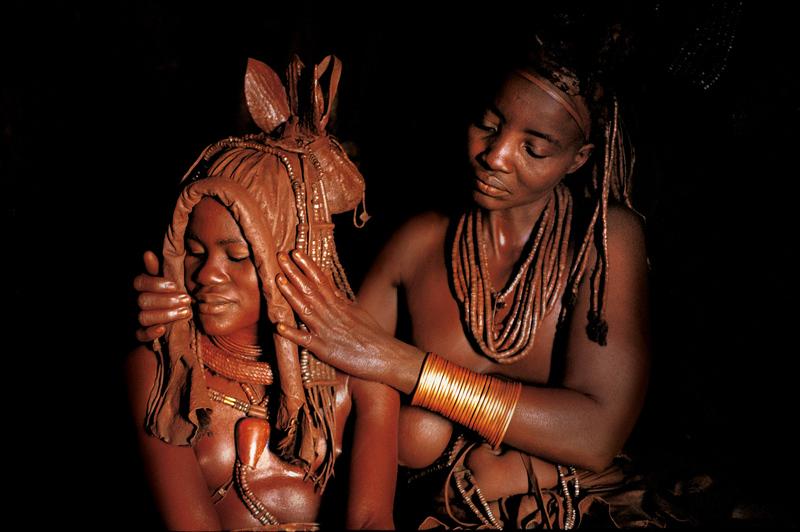 She tenderly places the ceremonial ekori headdress on her daughterâs head. This headdress has been passed down through several generations and will be worn by the bride during the first month of marriage. When she leaves her parental home, the front coil of her ekori is rolled forward. In this way, she can only focus ahead, and is thus shielded from the emotions of leaving her family.